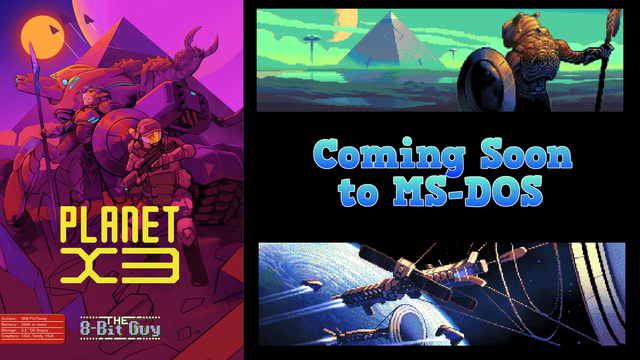 We just wanted to let you know what's up with this "Planet X3" game that we've got scheduled for February. 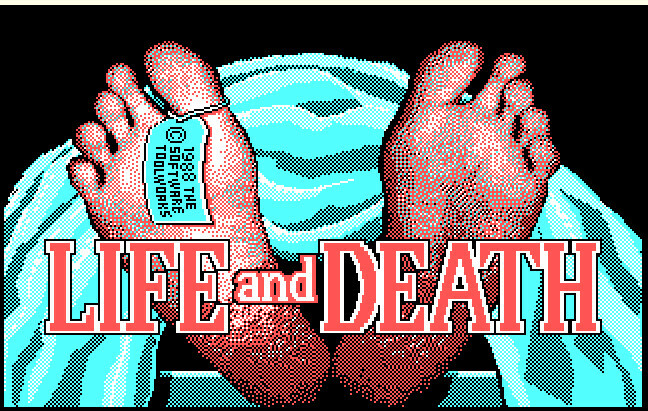 You see, originally we had planned to feature a different game: "Life & Death", the 1988 medical surgery simulator. It seems like an interesting game and it's one of the oldest suggestions still open on our forums, so we thought it would be cool to check it out. But then late December we got the news that Planet X3 had been sent to backers of their Kickstarter. In case you hadn't heard, David Murray, aka The 8-bit Guy, organised a Kickstarter in June last year to develop a sequel to his previous game Planet X2. And while Planet X2 was released to run on Commodore 64 computers, Planet X3 runs on good old MS-DOS! We're very excited about the release of a new DOS game in this day and age, so we thought it would be cool to play this game with the club and invite David Murray on the podcast to talk about it. We hope it will be released to the general public in time for us to play it in February. Since the game seems to be done and backers of the Kickstarer have already received their digital copies, there's a good chance it will work out for us. But if the game isn't released in time, we'll fall back on our original plan of having Life & Death as our February game. So that's what's going on. We'll keep you posted!